Join the discussion on our forums! 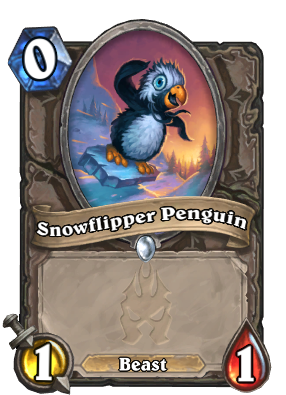 Come discuss Snowflipper Penguin over in our dedicated Snowflipper Penguin discussion topic. Should i craft Hemet Nesingwary? This card is just broken. 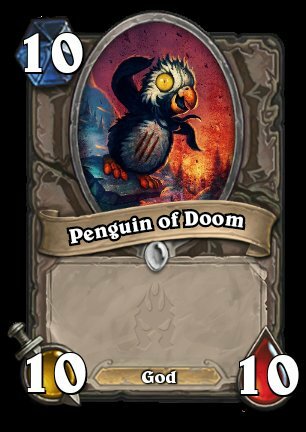 Sorry Penguin. You got powercreeped. Best golden animation in the game. Another powercreep on Wisp alongside Murloc Tinyfin. This is the best card i've ever seen in my whole life. Hands down. 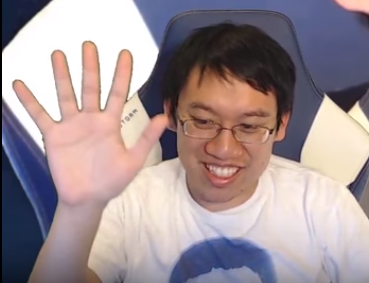 When will he get a nerf??? The King himself has spoken.